Total privacy on a hill in an upscale area. Great for vacation or temporary stay. Great backyard good for barbecuing and relaxing. Located 25 minutes east of downtown San Francisco; 10 minutes from Berkeley; 35-40 minutes to Napa Valley wine country. All times are non peak hours. The home is Spacious and elegant. This 2186 sq. ft. home has four bedrooms. There are two living rooms, kitchen, wet bar, and granite counters. 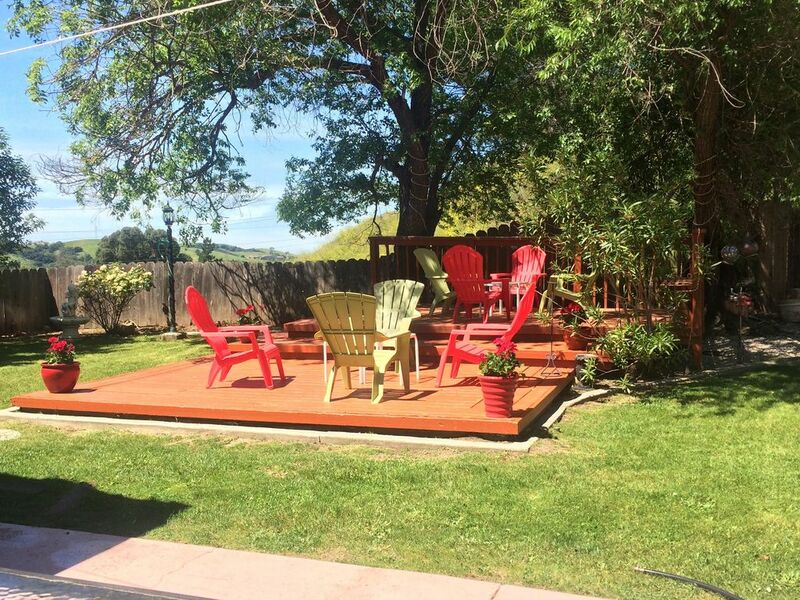 There is a large back yard with wooden deck, patio, and hot tub. 55 inch smart television with Netflix and cable TV.